A lot of my favourite projects come out of a ‘needs must’ mentality – or rather ‘I need something like this but I can’t find it’. My latest project is one of these. As my little boy is getting older I’m finding that I don’t need to lug my great big changing bag around with me all the time. I’ve just bought a smaller bag that still holds the essentials but isn’t as bulky as the changing bag. One thing I like about my changing bag is the number of pockets that can have different things stashed away so everything doesn’t get lost in a big mess at the bottom. This new bag is great but I found that things would get lost amongst the many different things a girl needs in her hand bag. The main problem is the nappies. They tend to get messed up. I wanted to find a pouch that I could use to put wipes and nappies in. I decided to make one. 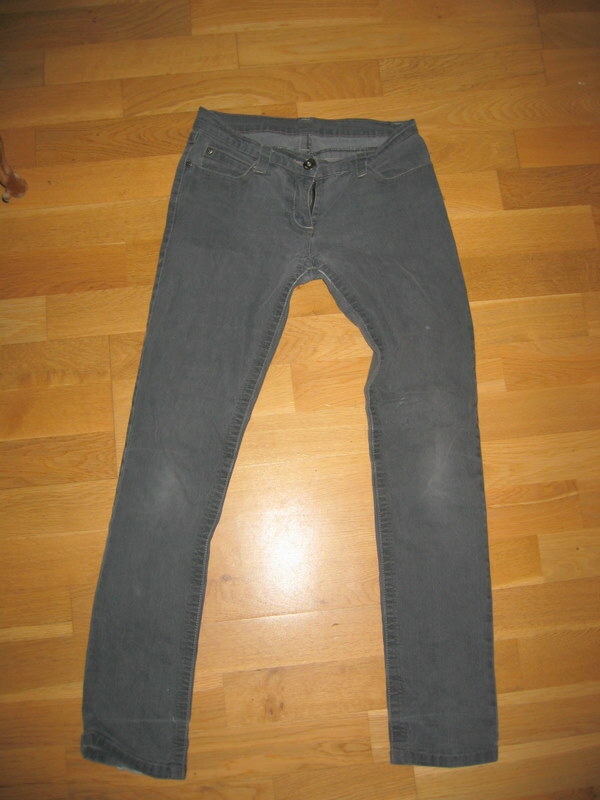 My friend gave me an old pair of jeans (and permission to chop them up!). 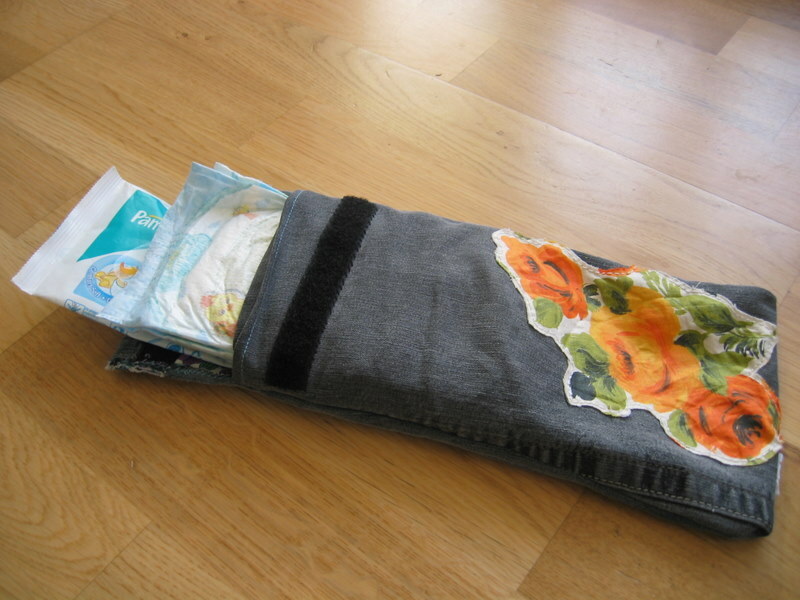 I’ve been thinking for ages what I could use them for and decided that the best use for some of it was my pouch (I’m very tempted to use the rest of it to make a hobby horse from: http://www.ikatbag.com/2011/01/how-to-make-stick-horse.html). I found a couple of vintage aprons in a charity shop and decided to incorporate them into my design. This one on the right I used as the lining to my nappy pouch as I love the solid, bold print. I knew that you would only get a flash of the lining so I wanted something that would bring a splash of colour. I cut a piece out of each fabric that was about the same size with the top piece a little longer so I could fold it over and make a neat edge. 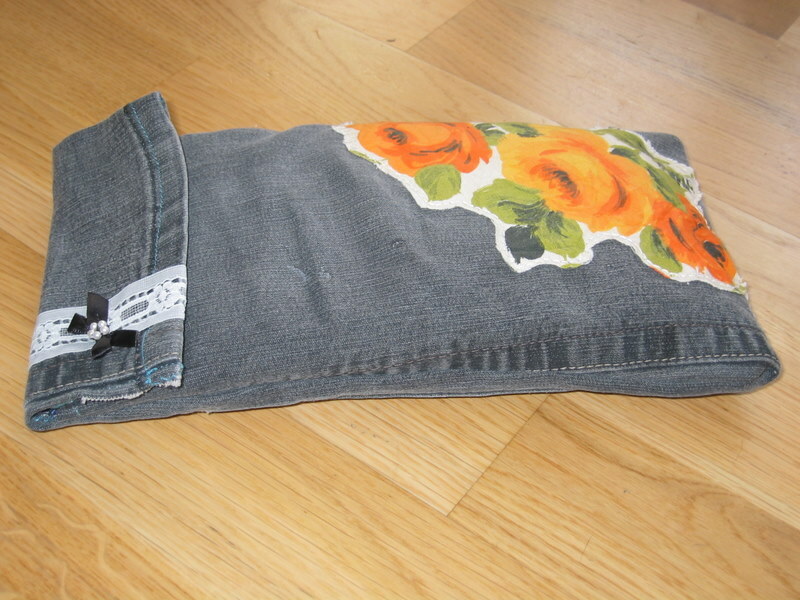 I then sewed them together to form a pouch with a lid that folded over the top (pictures below). 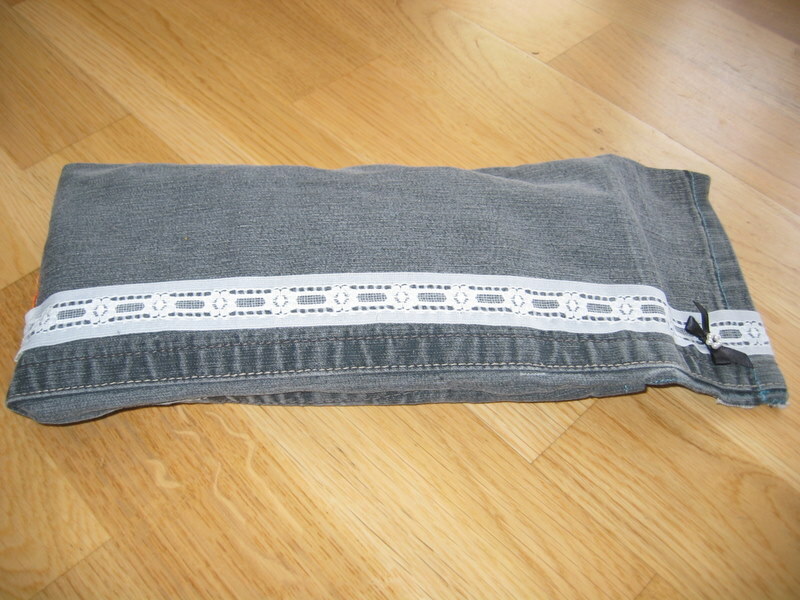 It was quite hard working with the jeans as the seam did get in the way, which is why I didn’t assemble in the best way. 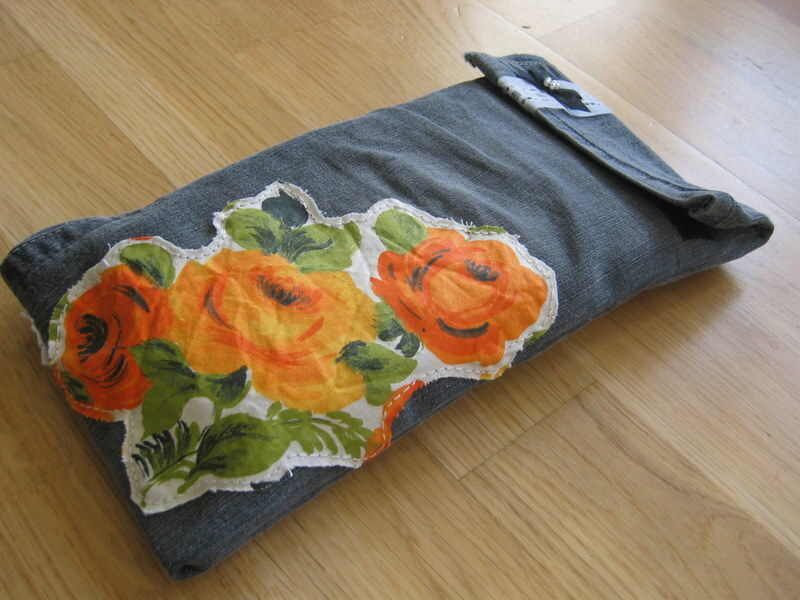 I think if I did it again I would sew the pieces right side together then turn it out the right way, then sew it together to form a pouch (this would make the seams a lot neater). 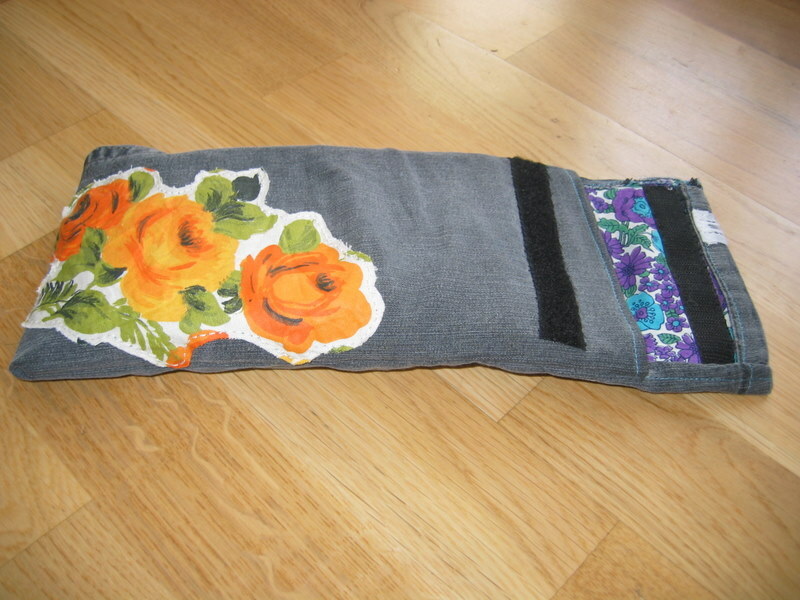 Anyway, I then sewed the Velcro in place and decorated. 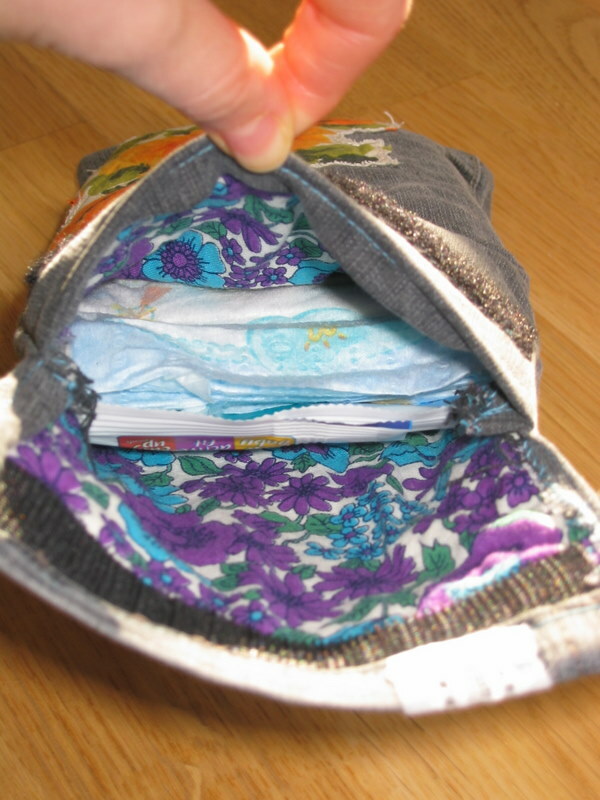 I was limited in the size that I could make the pouch as I wanted it to fit into an existing bag so I fitted it around being able to fit 2-3 size 4plus nappies and a slim pack of wipes. I’m really pleased with the way it’s turned out. Of course making a shell is only part of the fun. I then had to decorate it (hence the apron on the left). I loved this apron when I found it. 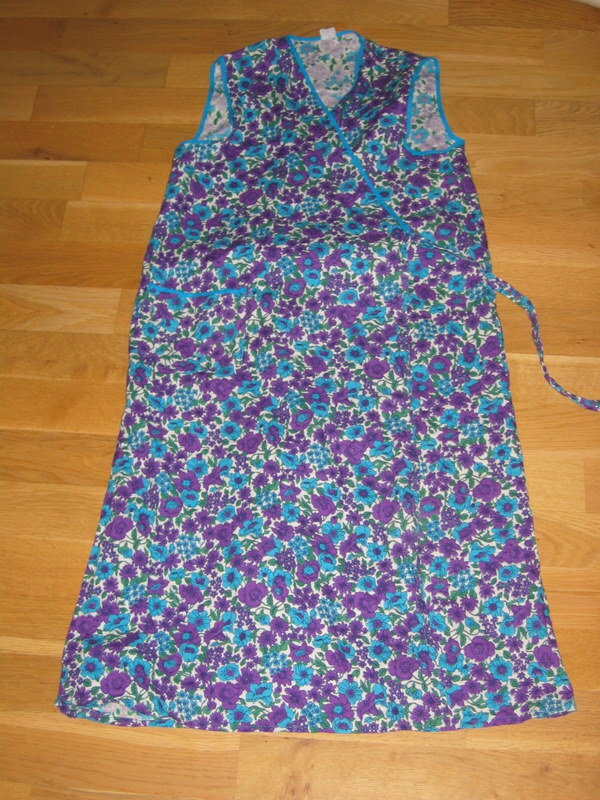 It’s a cleaners apron but the print is beautiful and because it was designed to be washed at high temperatures frequently, the colours are still very vivid. I was very temped to turn the apron into a top but the fabric is a little too harsh. The roses are beautiful though and I was itching to use them in something. 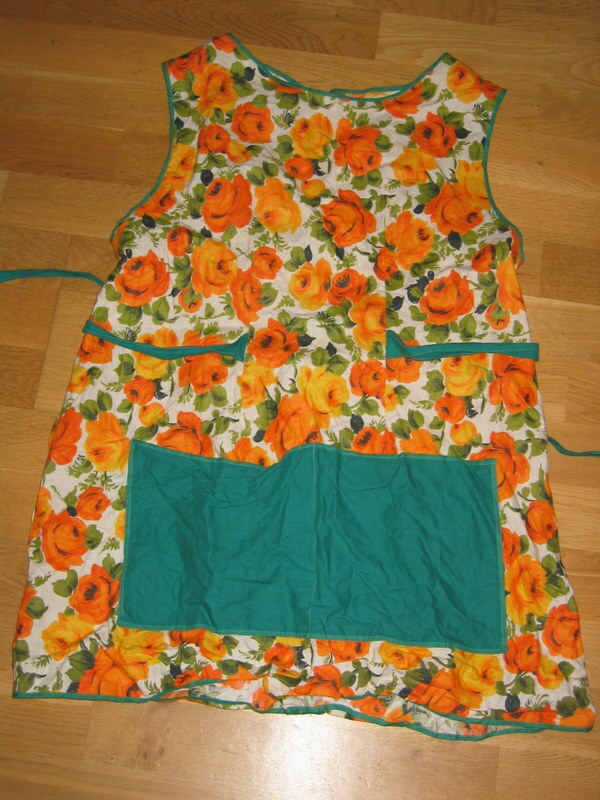 I cut some of the roses out of the apron and hand sewed it on. I deliberately left the edges raw as I like the effect it gives. I wanted to add a little ribbon detail to the back as it was looking rather dull. I took it over the lid to pull the two sides together. Here is the finished product being used for what it was made for!